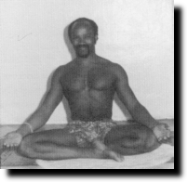 The International Yoga Institute was founded by Yogi Khane in Dakar, in 1960. It is present in Europe, Africa, Asia and America. Yogi Khane is member of the World Yoga Council. The International Yoga Institute is member of the International Yoga Federation and the European Yoga Alliance.